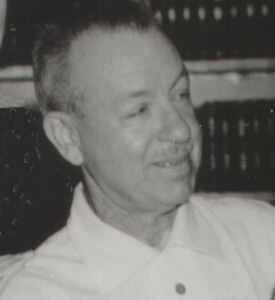 Charles Lamont finished his long career as a director at the Disney Studio. Primarily known for film work, in 1957 he switched to television, handling the serial Annette, and then doing some episodes of the Zorro television show. Charles Fred Lamont was a man of slightly mysterious origins. He was apparently born on May 5, 1895, in St. Petersburg, Russia. His father's last name was Ausmus, and his mother's maiden name was Barenco. They were French actors from theatrical families, who happened to be touring Imperial Russia when their son was born. Soon after, they came to the United States on another tour, and decided to stay, winding up in San Francisco. Charles would later claim to have been born there in 1899, possibly to hide the fact that he never bothered to be naturalized. Lamont moved to Los Angeles in 1919, where he worked as a property man and part-time actor for Mack Sennett. In 1922 he switched to directing two-reel comedies, and also got himself married. The marriage lasted only a year, but Lamont would continue directing for another thirty-five. He not only directed comedy shorts, he also wrote them, which may be why he insisted there be no ad-libbing in his films; all lines had to match what was in the script. Aside from this one insistence, he was well-liked and easy to work with, a genial elf who stood barely 5'5". In 1925 he married again, to a seventeen-year old actress from Georgia, named Estelle Bradley, who would remain his wife until her death in 1990. In 1932, while casting background children for a short for Educational Pictures, he discovered five-year old Shirley Temple, and gave her a prominent part in The Pie-Covered Wagon. He also wrote and directed her next film, Merrily Yours (1932), her first starring role and his first feature-length film. He continued to direct shorts and grade B features throughout the thirties, until he switched to Universal. There he got to make slightly better films, though not by much. He specialized in musical comedies, made several Abbott and Costello flicks and a slew of the Ma & Pa Kettle pictures in the late forties and early fifties. 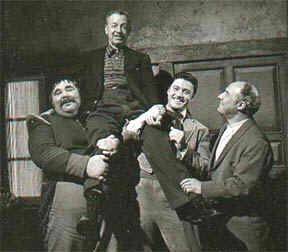 Like many of the directors Disney hired for the show, Lamont was near the end of his career, and had a reputation for being thrifty, competent, and strictly keeping to the schedule. The studio deliberately chose outside directors who had grown blasé about their job, and could be trusted to not impose their own distinctive flair or style on the filming, which was expected to follow the teleplay exactly. Charles was assigned to direct the serial Annette and Darlene, which had been adapted by Lillie Hayward from a book called Margaret, written in 1950 by Janette Sebring Lowrey. This third season serial was meant to showcase Disney's two star Mouseketeers. However, Darlene Gillespie was dropped from the serial shortly before filming started, to be replaced by professional actress Judy Nugent, who had worked with Lamont before. This allowed Lamont to focus entirely on Annette Funicello in the serial now renamed solely for her. Lamont showed that his ability to spot a unique talent had not deserted him since discovering Shirley Temple. He was the first director Annette had who believed that she really could act. He realized that her quiet style of expression and special beauty cried out for close-ups, which he employed extensively throughout the filming. He also understood that her level of performance worked best when the other actors underplayed their parts in scenes with her (which, perhaps, explains the change in co-stars). While working on the Annette serial, Lamont also directed several episodes of Zorro, before finally retiring in 1958. In his long career he had directed over two hundred features and short subjects. He would appear on film once more, in a 1987 documentary on Buster Keaton. He lived to be 98, dying of pneumonia on September 12, 1993, at the Motion Picture Country Home and Hospital, in Woodland Hills, California.